The following statement was delivered by Sébastien Brack, Senior Political Officer at the Kofi Annan Foundation, on behalf of Kofi Annan at the signing of the electoral Peace Pledge in Zimbabwe on 26 June 2018. The Pledge aims to commit the 23 parties who are fielding presidential candidates to the code of conduct. I am honoured that I was asked to witness this pledge, and I am sorry I could not be here in person to express my support. We have all watched in amazement the events that have occurred here since November last year, when Zimbabwe began a historic transition. 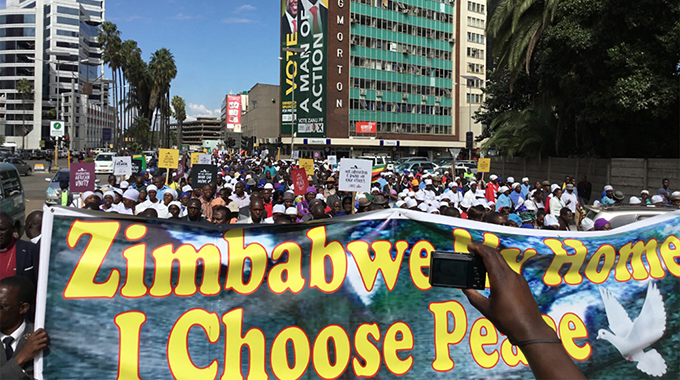 The people of Zimbabwe have found their voice. The upcoming elections are nevertheless a litmus test of the transition process. They are being followed with immense interest and great hope. Not only by the people of Zimbabwe, but also by Africa as a whole, as well as by the international community. I am excited about the abundant prospects for Zimbabwe. We all know its enormous potential. But the challenges are ahead are daunting. Zimbabwe’s GDP has roughly halved since 2000. Nevertheless, Zimbabwe has everything it takes to once again become a magnet for talent and investment – provided it can regain the trust of its citizens and its investors. This pledge is about trust-building and I commend you all for signing it. You are sending a strong signal to your people, and to the world. You are demonstrating the statesmanship that is needed in this time of national transition. For these elections are just the beginning of a long process to rebuild this country’s economy, reconcile its people and usher in a new democractic era. Politicians but also business and civil society will have to work together on this vast programme of national renewal. The future is in your hands. Your children and grand-children will one day read about the role you played in these momentous times. I trust and know you will do the right thing for your country. To quote your national anthem, “Blessed be the Land of Zimbabwe…may its leaders be exemplary”.